Get the latest news from RT on North Korea and its capital Pyongyang, including breaking news, politics, and culture. 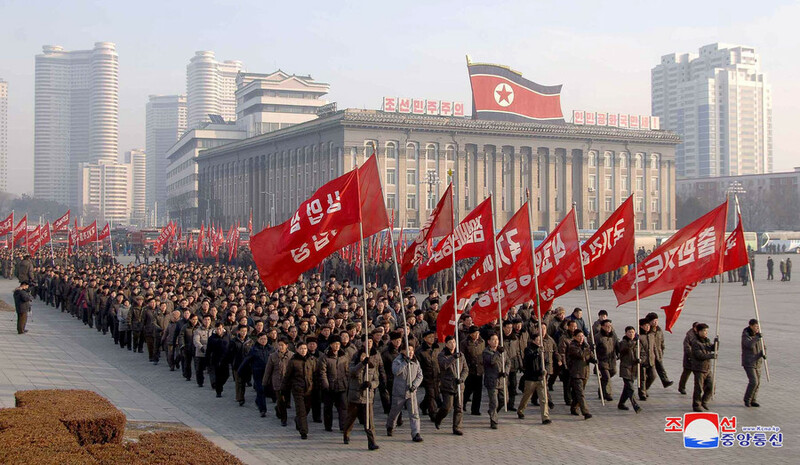 North Korea is disconnected economically, socially and culturally from the rest of the world, so the content of the news is limited for all the world’s news outlets. RT still provides the latest news and updates on current relations between North Korea and other countries, including its neighbor South Korea, whose people are ethnically one nation; and the news on North Korea’s confrontation with the US. Also, as North Korea claims it develops weapons of mass destruction, get news and information on the state’s nuclear program and military in general. And finally, don’t forget to check out authors’ opinions on the news and current events taking place in North Korea. North Korea watchers witnessed a peculiar scene as Kim Jong-un arrived in Vladivostok. 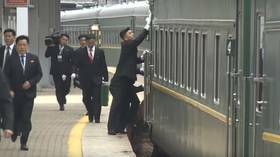 As the train was about to stop, Kim’s bodyguards poured onto the platform to wipe clean the door their boss was about to exit through. 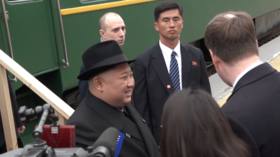 The leader of North Korea got his first taste of Russian hospitality after his famous armored train arrived at a border crossing. 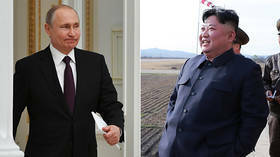 Shrouded in secrecy, Kim Jong-un’s visit to Russia is his first since coming to power. 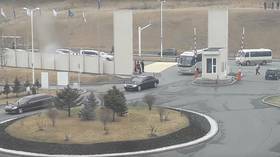 A video shot from inside the location where a meeting between the leaders of North Korea and Russia is set to happen soon, shows a large motorcade, including two unidentified black limos, arriving through the checkpoint.